I have had a USB interfaced display done for a while. Now it's also possible for me to build them for the rest of you if there's interest. Currently I have it running with LCDInfo and LCDStudio and support for other software like LCDHype can be done also if there's interest. And of course it's also possible to make your own program work with it. Price including the USB interface and display would be 65 EUR. 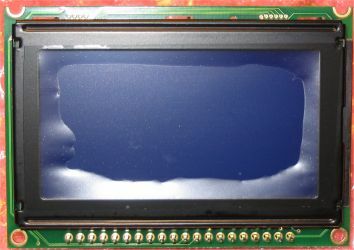 I'm interested if I can [re]program the the io lines for other LCD controllers. I was not planning to open it that much so that it would be user reprogrammable. Of course firmware updates are possible. But if you'd like to have just the module and firmware for some other controller I'm open for suggestions and probably can offer support for displays with other controllers too. I have played with many different controllers and displays during the last years with the previous versions of my usb interfaces but just don't have other display specific boards now. Hello, "neighbour"! (assuming you from Finland ). 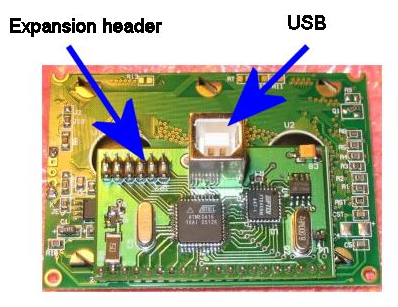 Is there a way or place to learn more about your USB solution? I had running some text LCDs by myself in past, etc, but I just upgraded my system, and there is no parallel port anymore, so I was searching a lot for some interesting USB solutions for fancy PC things. So I came across this one. Yes, i have PCI card that does LPT, but I am using it already for my DiscoLitez hardware WinAmp solution, so for LCDs I am very interested in USB. Last edited by 3Dman on Mon Aug 15, 2005 12:57, edited 1 time in total. I'd also be interested in an even bigger usb graphic display. But this one will do for now. Where do i send the cash? you can contact me at catscit@gmail.com. Been playing with lcdstudio 2.0 and i love to use it with this big usb display. Sorry everyone for it taking this long to get response. Haven't had a chance to be much online for the last couple weeks. Now I'll start working on the backlog from that time. Everyone interested in the USB displays can contact me using my forum profile email. If you're interested in the interface only we can discuss about that too. just got my usb lcd, thanks Henri! But what driver type is it? and using lcdinfo, what port info do i give in for usb? Only worked with lpt port lcds before. Got all related software from Henri and this thing rocks. Must get a bigger one someday. I've got it running using lcdstudio2, which is more suitable for a dumb guy like me. Ok, will make a small movie. In the mean while i also got lcdinfo working with Henri's help. That also works but lcdinfo is new to me so will take some while to get decent results. Hello Henri what kind of controller is on the lcd? I have a T6963C controller on my lcd display, and Iâ€™m interested in only the USB controller board. Would these two components work together? Of is it impossible? Is it possible to sent to the Netherlands?